Next Up: Hopefully I will be back training on the road in October 2018. Unfortunately I was put into the barriers in the last 10km of Ride London. Following a successful operation I am now recovering well and hope to be back on the road soon. This and the Binkbank tour were two races I had been targeting so was very disappointed but feel lucky knowing I will make a complete recovery. Am loving being part of this team and having the opportunity to race in a huge variety of races, terrains and weather. 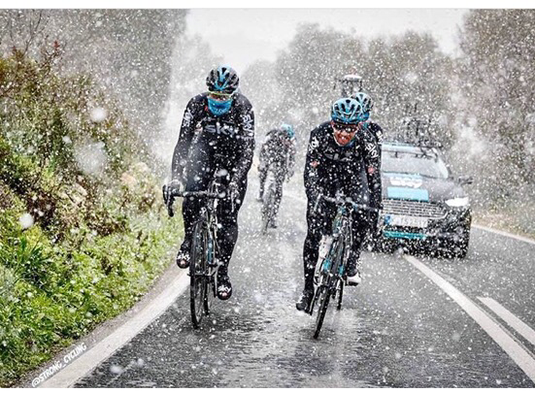 Started the year with snow in Mallorca, then hard fast racing through sandstorms and torrential rain in the desert followed by real hills and almost a win in Italy. Next up were the Spring Classics, races it has always been my dream to ride and one day win. We rode well but did not get the win we deserved. Despite crashes, punctures and a broken wheel I managed to finish the best race of the year, Paris Roubaix, well after the winner but cheered along the whole route by awesome crowds. After a short break it was back to the UK for the Tour of Yorkshire, again the crowds were huge and really shows how popular cycling has become. Tao did brilliantly and we are now heading to the States. 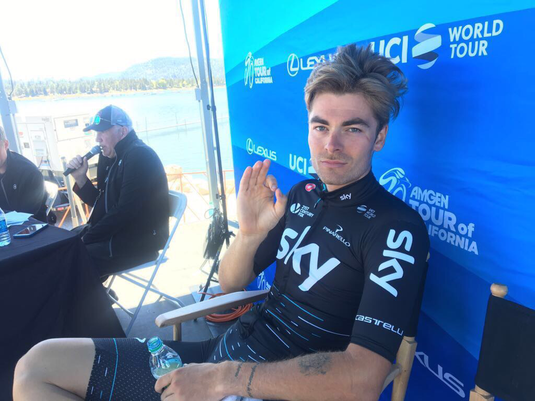 First ride in Team Sky kit. New year, new team, new base, new targets and a whole lot of learning. 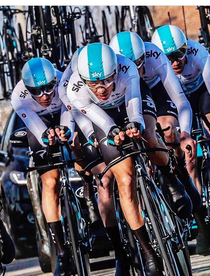 Really excited to be riding for TeamSky, already been on my first Sky camp and looking forward to my first full season on the road. Click here to watch a short Q&A Tao and I did live from our first camp. The last couple of months have been busy, Owain and I moved out of our house in Manchester and I have now moved to Nice. I am now struggling to learn some French. Click here for an interview I did with Road CC. Not quite the year I had been planning. 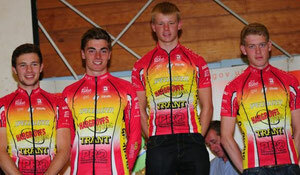 It was good to get a win and a couple of podiums at Tryptique followed by 2nd at u23 Flanders. Next up was ZLM, a race I aimed to win. Riding at the front, to stay out of trouble in the heavy rain, I got hit from the side and ended up under a pile of riders. Luckily I was out cold while a hundred plus riders rode over me. It was brilliant to see my friends and team mates dominant in Rio. Having spent the last 3 years training for the Team Pursuit I know how hard everyone,riders and staff worked. Being injured has made me really appreciate just how much support we get from all the staff and I cannot thank all the BC staff enough. Now planning for 2020. This was some experience, my first race in America and at altitude. We were racing on the front and targeting the win. I was hugely grateful to Cannondale-Drapac for believing in me and inviting me to staigaire for them at the Tour of Utah. I got the opportunity to stay in Park City in just about the nicest house I have ever been in and ride with the team before the race. I really enjoyed it, my first race back from injury. 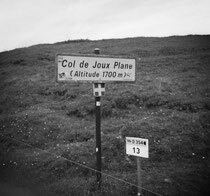 Coming back from racing at altitude seemed to be good prep for L'Avenir. 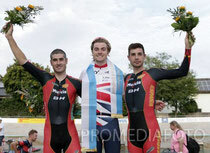 Always great to ride in a GB jersey and even better to get three podiums in three successive stages. Still smiling. After all the training and work it was brilliant to become World Champion in London. Following our silver medal in the Team Pursuit I really didn't know what to expect in the Points. As am Omnium rider it is a race I always enjoy. Racing in front of a home crowd was deafening and something I will never forget. Thank you to everyone for all your messages and support. Delighted to get on the Podium at the World Champoinships in London. Unreal support from the crowd, in fact we couldn't hear the count down and nearly missed the start. Busy start to this year- six flights last month. After a successful Rev at the start of January we headed to Tenerife for a couple of weeks training. Got back and straight into the final Rev of the season. It was brilliant racing and great to have so much support. As a new team it was good to take the over all win for Team Wiggins. Next up was Mallorca and the Tour of Dubai. 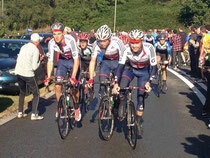 I enjoyed getting in the road race miles and practising leadouts for our sprinters. Celebrated my 22nd birthday yesterday, now on to the serious business of trying to gain selection for the Worlds and Rio. 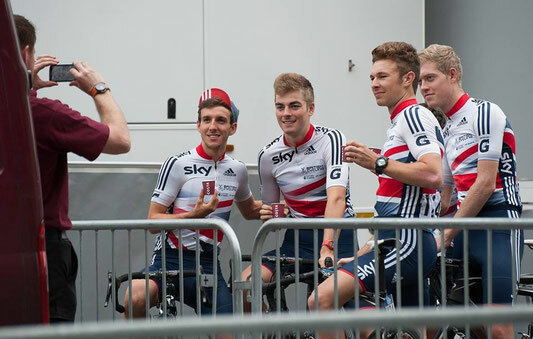 Great to start the New Year riding the Revolution for Team Wiggins. We won the Team Pursuit, Scratch, Points and are now leading the Championship overal. Looking forward to Tenerife now. Wishing the GB boys success in Hong Kong. Great to get the opportunity to Race the Rev in Glasgow. First time back since I did my first World cup in 2012. Really good night of racing, brilliant crowds and we won almost every event. Got very close to the World Record in the Madison Kilo. Roll on next Rev. 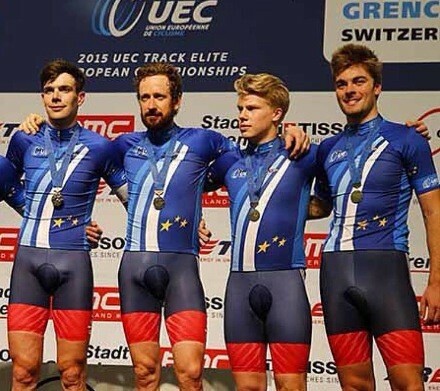 Chuffed to win Gold in the Team Pursuit at the European Championships in Grenchen, Switzerland. Then win a Bronze medal in the Omnium. Next up the first World Cup of the Winter in Cali. 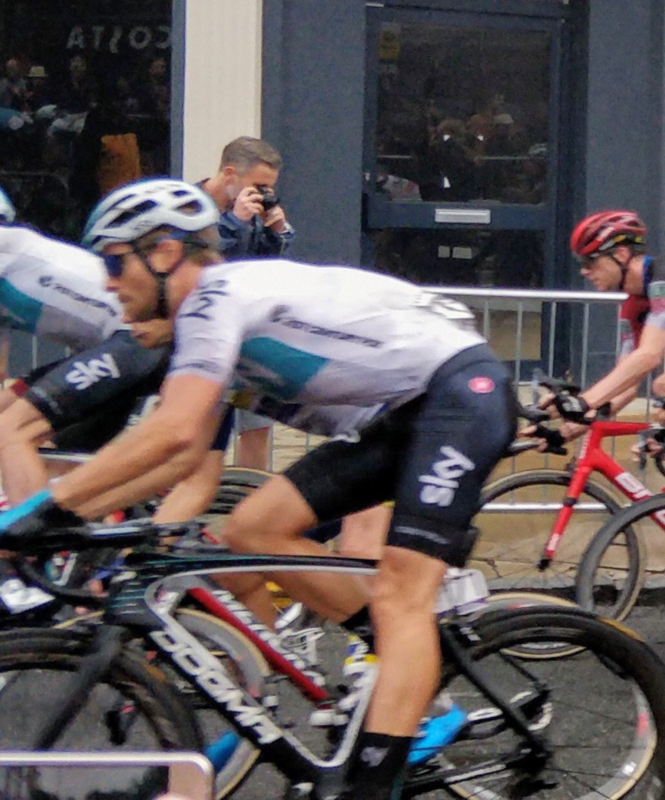 Fantastic to ride the Tour of Britain alongside Sir Bradley Wiggins. Loved the crowds and being able to work for Owain getting him up to 3rd overal. Manchester, after three aborted landings we ended up Gatwick. 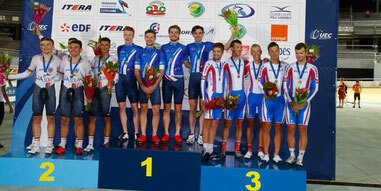 Next up was the World Cup in Mexico where we got a silver medal in the Team Pursuit. We are hoping to go one better in London and win gold. Chuffed to finish the Road season with 6th in the World u23 Individual Time Trial. Thanks to everybody for all their support and messages. Finally got back to racing this month. 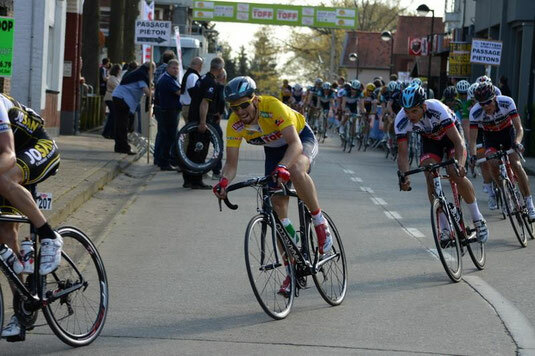 Started with two omniums finishing on the top of the podium in Dudenhof and 2nd to Viviani in Roubaix. It brought back memories of riding Paris Roubaix as a junior, back then I finished 4th and 3rd. Hopefully next time I will move up another step. Spent all year training for two events, the Commonwealth Games and Tour L'Avenir: then the week before the Commies I break my elbow. Still it was great to see my team mates do so well and England finish at the top of the medal table. 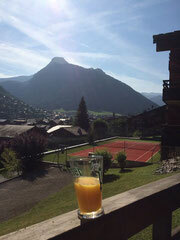 I am now on what was supposed to be a pre L'Avenir road camp in the Alps, with Owain Doull. Currently spending most of my time on the turbo on the balcony, interspersed with some fairly slow climbing efforts. Hopefully I will be able to do more road work next week. This year has been pretty full on so far. 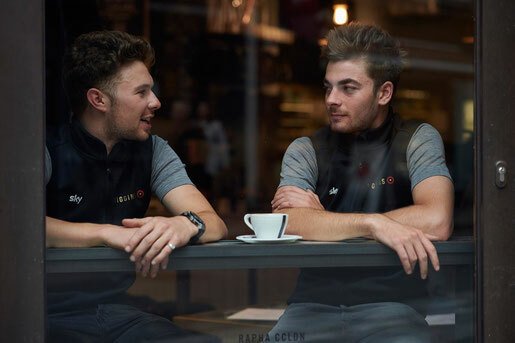 After the World Championships in Cali the rest of the team had a well earned break while Owain and I headed out to Majorca to prepare for the road season. We had been hoping for a couple of days rest but due to flight delays and problems rebooking our flights to Majorca we spent the time either in airports or driving between aiports. Not ideal when we only had a few weeks before the Nations Cups. Our spring campaign resulted in several poduims and top ten places. 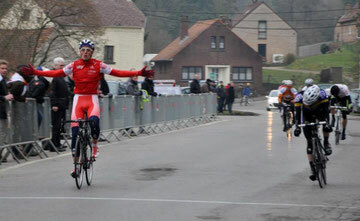 I even got my first 2.2 UCI stage win as an u23 in Tryptique. Unfortunately, as we have seen in the Tour De France, things don't always go to plan and a couple of late crashes affected our overal ranking. 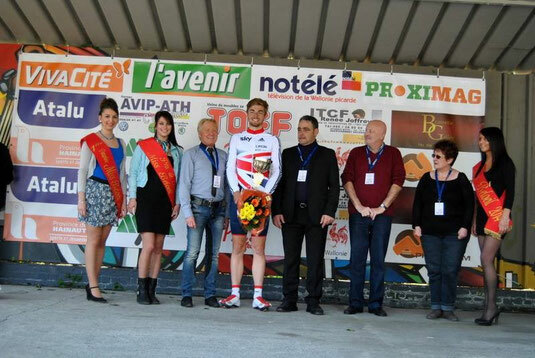 Still we are planning to repeat last years success at the Tour l'Avenir next month. Before that I am really excited to be taking part in my first Senior Games- The Commonwealth Games in Glasgow. This is a real honour. It was in Glasgow that I competed in my first Senior event, the Glassgow World Cup in November 2012. 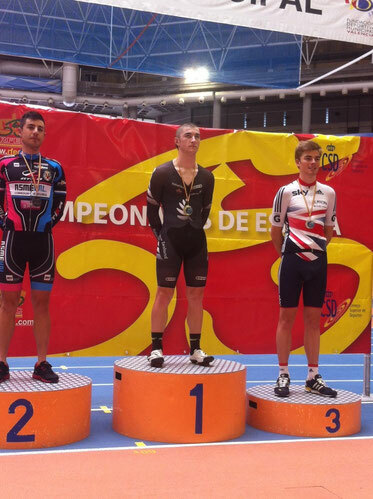 I was still a Junior and was thrilled to finish 5th in the Omnium. This time I am hoping to compete on both the track and Road. Arrived safely in Cali, great hotel and an interesting track. February started with a great day representing Telegraph AllStars at Revolution 44. As always a brilliantly organised event held on my home track infront of amazing crowds. 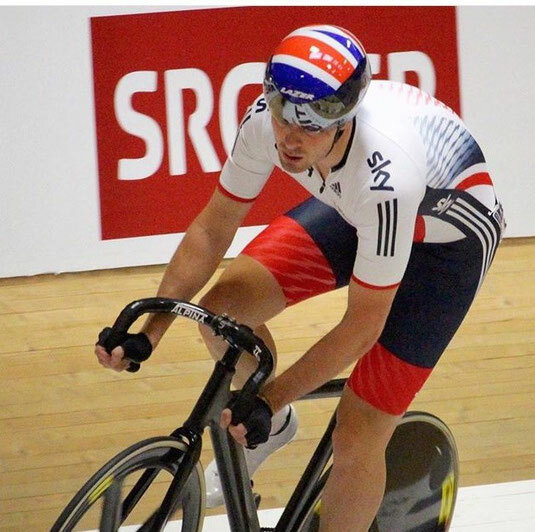 Sam Harrison and I tried really hard in the Madison TT missing out on the win by mere hundredths of a second. Unfortunately Monday morning Owain and I woke to find our bikes had been stolen. Having spent Sunday cleaning and sorting them out we were not impressed. Hopefully they will be found. Welcome to 2014. 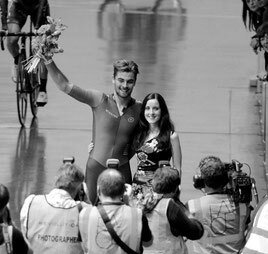 Having had a relaxing Christmas at home, with family and friends, I headed back to Manchester and almost straight away flew back to Mexico for the last Track World Cup. 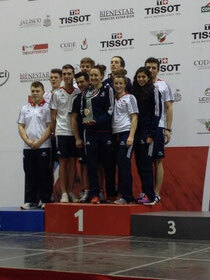 The team worked really well together and GB ended up as overal World Cup Series winners. 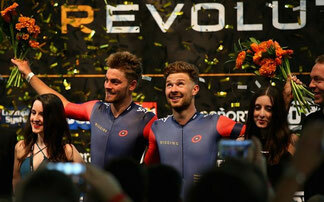 After the World Cup I headed back to rainy Manchester while the rest of the Team Pursuit team, Chris Lawlss, Ollie Wood and Chris Latham headed south to sunny Australia. No of course I am not jealous! I am now back in Manchester training hard in the hope of being selected for the World Championships in Cali next Month. At the end of November we flew to Mexico for the 2nd World Cup. I got a ride in the Team Pursuit and we came away with a Bronze Medal. 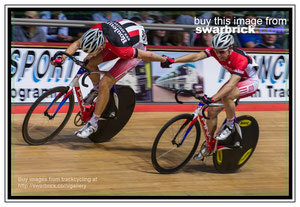 Late on the Saturday Owain and I almost got another medal in a frantic Madison. 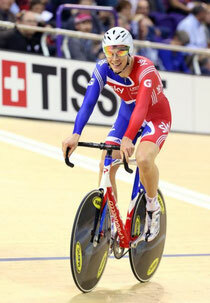 It was one of the fastest Madison races ever, averaging over 56Km/hr. Loved visiting Mexico, even the 36 hours travel home was not too bad. Next stop Mallorca. I love riding the Madison and would have loved to be at this with Andy Tennant Wishing everybody riding for such a good cause and in memory of Lewis Spadger Barry all the best. We had a fantastic couple of days racing at Manchester, GB ending up World Cupleaders in the Team Pursuit, and I managed 5th in the Omnium. The crowd were superb, a constant wall of noise. The beginning of November brings the first World Cup. This time last year I rode my first World Cup in Glasgow and was delighted to gain a top five in the Omnium. 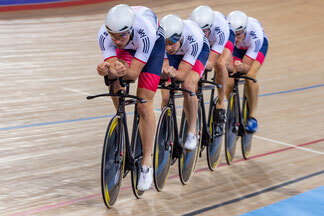 This year I am hoping to gain selection for the Team Pursuit Squad. Wish me luck! After competing in the Road Worlds at the end of September it was time to get back to some track racing. First though we had to move house. It was exactly a year since I joined the Academy and now Owain and I were moving out of the flats in Manchester to a house just outside Manchester and getting ready to meet the new Academy riders. Can't quite believe how quickly the last year has disappeared. It was great to be part of the team which won three Gold Medals at the European Championships. This weekend was the first of a new format Revolution. I was pleased to earn some UCI points towards next years World Cup events and race infront of a huge crowd alongside Luke Rowe. 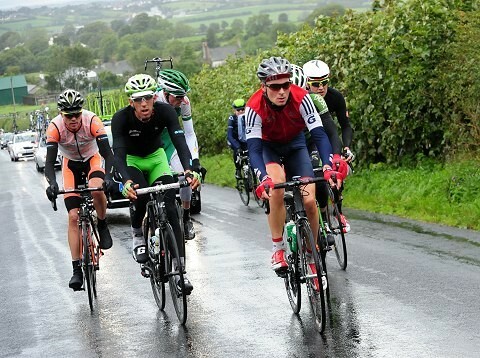 On15th September I was honoured to line up for my toughest race yet, alongside some of the best cyclists in the World. Our aim as a team was to work for Simon Yates. After over 6 hours on the bike in the wind and rain I was both relieved and thrilled to be in the sprint for the win on the first stage. On the 2nd day I spent most of the race in a break and was at one point in virtual yellow. As a team we worked really well together and achieved several top tens and Simon ended up onthe podium. The atmosphere and crowds for every stage were fantastic. After a brief much needed holiday in Majorca it was back into training for my first Tour of Britain. 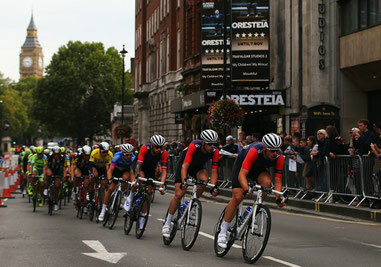 This was a race I first saw in London as an under 14. That day I was fortunate enough to race and win the youth race and even better got the opportunity to follow the Prologue in a support car courtesy of Mick Bennett. 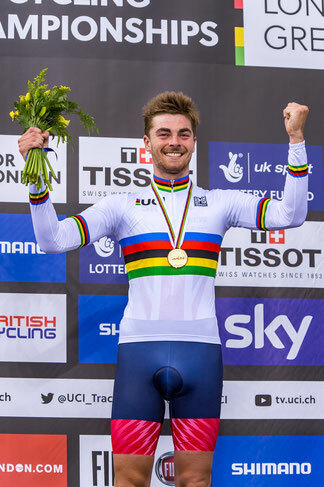 July saw Owain Doull and I head back to Portugal for the u23 Track Euros. Having got a podium in the Omnium ,at the Valencia track meet, this was the next event needed to qualify for the World Cup events. 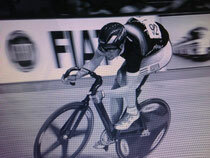 By the 2nd day of the Omnium I was getting my track legs back and managed to finish 5th overall. On the last day of the meet Owain and I were in the hunt for a medal in the Madison but were outsprinted on the last lap and finished in 5th place. Now time for a short holiday before returning to Manchester for the rest of the road season. Another couple of busy months for us resulted in a couple of wins and podiums on the road for the 100%ME team. I was especially pleased to have finished my longest ever stage race. 8 days, and to have got a couple of top 20 results while helping the team. April was pretty hectic, had my first experience of u23 Nations Cup racing, the Tour of Flanders and manged my first win as a u23 in Belgium. I was also delighted to see my good friend Tao get on the podium in Junior Paris Roubaix. Back in Belgium, in the gutter, on the cobbles and experiencing some of the coldest weather ever. Great cafes though. Really pleased to have been selected for the Senior Track World Championships in Minsk. Riding the Elite World Chmpionships was a real honour. 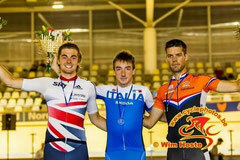 I was very pleased to finish up in 8th overal in the Omnium and to have won the Omnium Scartch. It was great to have so many teamates, especially Simon Yates win medals. Had a great Christmas and New Year with family and friends in Southampton. Even squeezed in a ride on Christmas day. Just got back from a 10 day camp in Majorca for a few days in Manchester before heading back to Majorca. Currently stuck inside on the turbo due to snow. 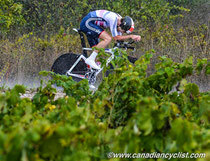 Returned from my first training camp in Majorca to some fairly decent weather, not too wet or cold. Had a couple of days off and started training again in the rain! No ice though. Christmas ride tomorrow with the family ( not Mum ) and the Hargroves. Racing at Glassgow World Cup was an incredible experience, just being in the same race as World Champions Kenny De Ketele and Glenn O'Shea was amazing. Hearing the roar of the crowd is something I will always remember. 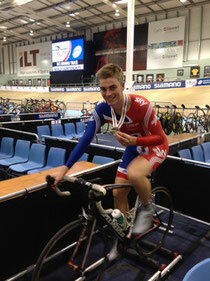 I was pretty chuffed to finish fifth in the Omnium overall, and to have managed a win in the Individual Pursuit. Cheers for all the messages. Following a fairly hectic summer I was planning to take a break, and spend a day driving fast cars around Thruxton Circuit, a Circuit I have spent years racing round on two wheels . I managed to spend a couple of days in Southampton catching up with friends and family after the Road Worlds and Senior Track Nationals. At the end of the week I got the news I had been waiting for-I had been accepted onto the British Cycling Academy Programme. This year we would be moving to Manchester in October, not November. A quick change of plans and alot of shopping and packing were needed. I have now moved in, post poned my Thruxton Track day and am really enjoying being part of the Academy. 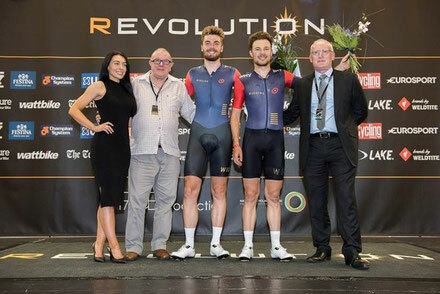 Had a great time racing the Revolution Round 1, at Manchester, as part of Team Rouleur riding with Sam Lowe. A brilliant crowd and was really good to get some racing done. We even picked up some prize money. I have just got back from the Junior Track World Championships in Invergargill, New Zealand where I was delighted to win a Silver medal in the grueling Omnium. I also broke the National Record for the Kilo. Loved riding Coppi Bertali great race made even better when we got the overall win and a couple of stage victories. Coppi Bartali: Loved riding this race, great event, made even better when we secured the overall and a couple of stage victories.